I really didn’t set out to be an expert relationship advisor. Some people don’t hunt down their careers – it hunts them down instead. This is how that happened for me. Many years ago, I married my best friend and naively thought that love and friendship was all anyone needed for a lifetime of love together. Seven years, two kids, and a mortgage later, we had grown so far apart that I felt lonelier with him than without him. The promises we had made to each other on our wedding day seemed so far away. See, what many couples don’t realize is that when you are in the beginning stages, the excitement stages, the “in love” stages, then promising to always be there, be forthright, be brave enough to really talk about the hardships of life or the disconnection from each other sounds like something you can do. The problem is that once the disconnection is there you are…well…disconnected. Seeing eye to eye or having any chance of understanding each other gets harder and harder to achieve. This person ends up feeling like a stranger; and what’s worse is they feel like a familiar stranger who doesn’t like you anymore. A critical, familiar, judging stranger. That is not where open, vulnerable, loving communication and connection lives…and it leaves a big ol’ wide opening for someone else – nearly anyone else – to come in and confuse things even more. All of that happened. The result was divorce. We both were damaged. I quietly vowed to myself that I would never trust the path of marriage again. A few years later, armed with a new masters degree in Professional Counseling, I set off to help save the world. In my first assignment in a community counseling center, I was put in charge of a Divorce Recovery therapy group. At first I thought it was the perfect fit for me because I had been through a painful divorce and was ready to help others leave marriage behind them too! What I learned during that time was much more than I could have guessed would happen. Marriage wasn’t the problem. The expectations that were placed on it combined with the lack of skills to carry them out was. I continued running Divorce Recovery groups and seeing individual clients for several years. I even started on on-line self-help forum for those who were suffering and unable to physically make it to a group setting for help (www.single-not-broken.com). I held the space, and worked with my clients through the pain and the rebuild into lives that they could feel proud of living. I loved my work and my clients…yet it was painful. I started to yearn for a way to not just help people through the pain once their dream was broken, but to find a way to help fortify and support their dream before its demise. I expanded my practice to working with couples in crisis. I had seen hundreds of times the carnage of the aftermath of a destroyed marriage. I wanted to join the battle and make sure that love could win. Sometimes it did. Most of the time it did not. See, most couples don’t seek therapy until someone is already wanting to leave. The road back is not always possible that late in the journey. I really started paying attention to those couples that did make it back. I wanted to know more about how they did it. How did they save their dying relationship and make it healthy and thriving again? What did they do differently or how did they think differently, then those who had to put theirs to rest? I took it further. I started interviewing long-lasting couples who clearly had a sense of what and who they were in their marriage. I asked them to trust me (please) with the details of how they made things not only work, but how did they make their love great. Patterns began to emerge. Pieces came together. Hope didn’t just spring up, it geysered up and smacked me square in the face. YES! These things can be taught! I started writing. Blogging. Doing guest articles. Talking and sharing. I put these very concrete ideas into practice in my own life. I began working with clients as a pre-marital coach. I wrote a full pre-marital program and saw great success with client couples on their first, second, third marriages (brave souls!). Finally, I wrote a book. A complete joyous act of love. I have heard so many authors talk of the labor of writing a book – how painful it can be to get things in order, on paper or on a screen and bring it to life. I might have that experience with the next one, but this one wanted to be born so badly that it flowed right through me. Each time I sat down to write, it was with a smile and a song in my heart as I thought back on the faces, voices, smiles and tears of those clients who have taught me and grown me along the way. I am ever so grateful and now completely excited to share their knowledge and experience with you. By the way, I did marry again – but not before I was ready and fortified with the skills and knowledge of how to build and grow with a special someone else. It still wasn’t always roses and sunshine and it took a few years for us to learn how to be our best together. We did it. It is absolutely and completely worth it. Great Love Wins! Coming soon – in August of 2017. 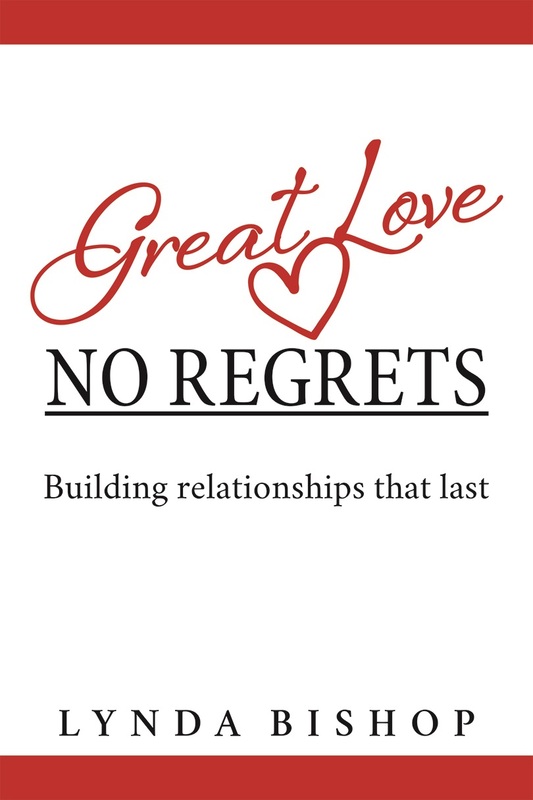 Great Love; No Regrets – Building relationships that last. It is almost here! The cost will only be $25 plus shipping. If you want to reserve your copy now, let me know!